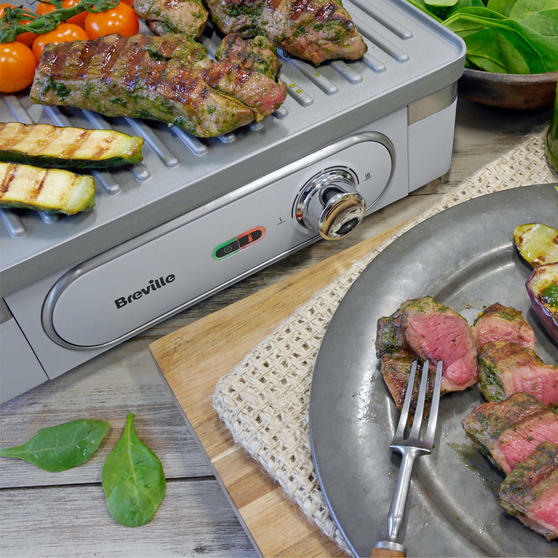 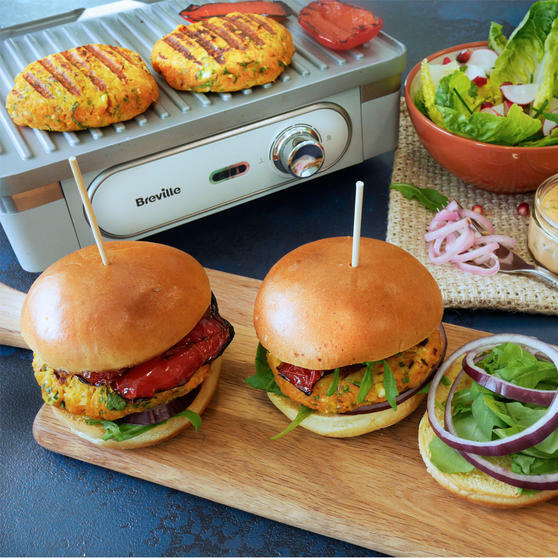 Make delicious meals in super-fast time with this brilliant Breville grill, superb for cooking succulent steak, salmon fillets, vegetable kebabs and more. 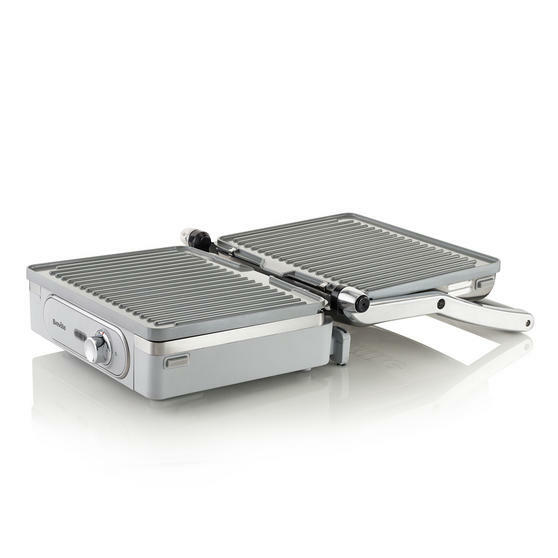 It is simple to clean with a naturally non-stick surface and it is brilliantly resistant to scratches, peeling and flaking. 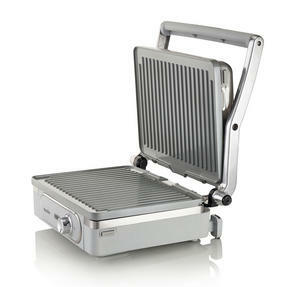 The lid is conveniently hinged so it can be easily adjusted to accommodate different sized foods. The lid also opens a full 180-degrees to double the size of the grilling area so you have space for 4-6 portions. 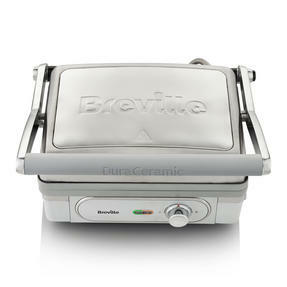 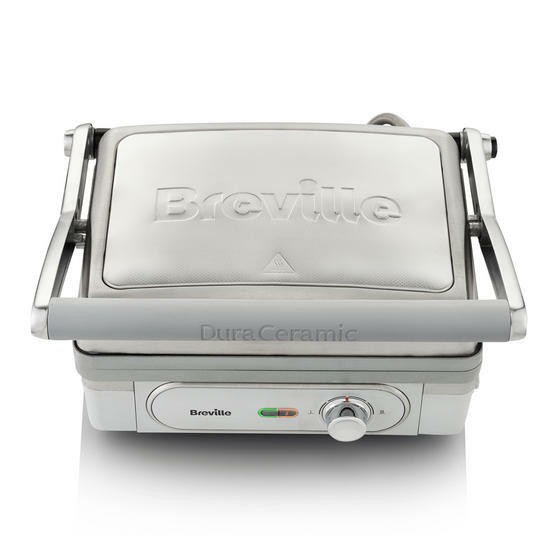 This Breville grill has DuraCeramic plates providing a superior heat transfer compared to standard stick surfaces for faster cooking. 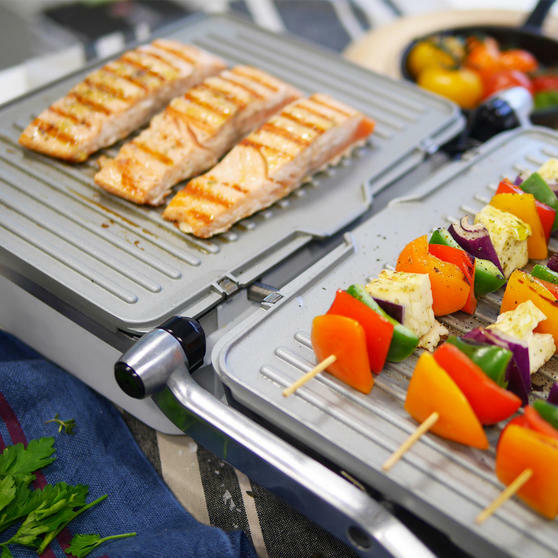 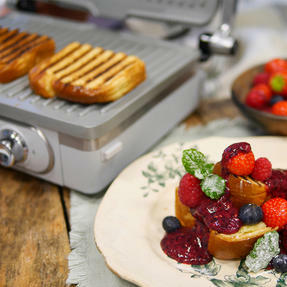 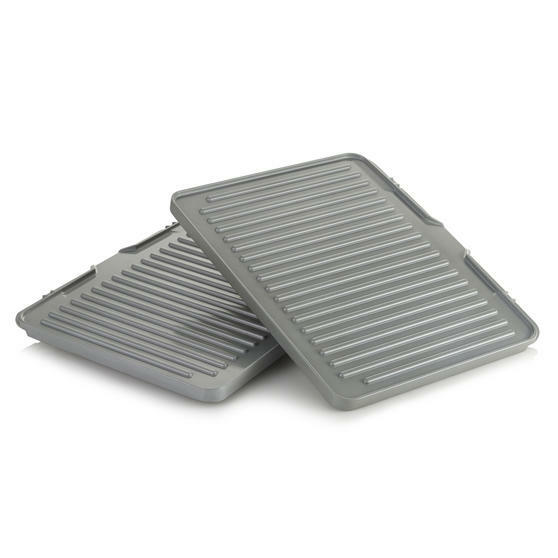 The removable plates are incredibly durable and simple to clean, the grill also has a great drip tray to collect any excess oil. 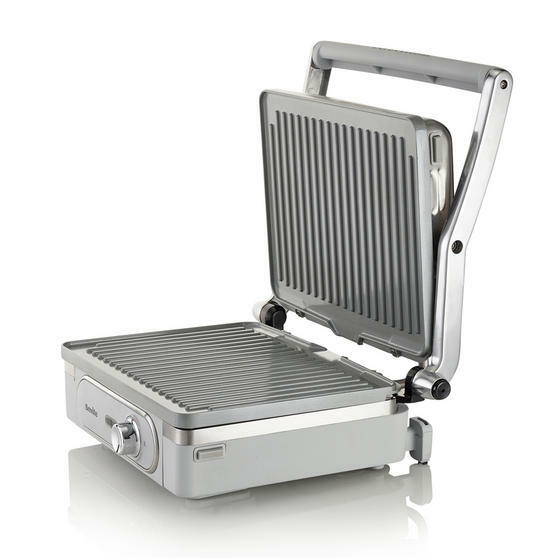 The stylish textured stainless steel finish looks fantastic in any kitchen and is wonderfully compact, making it is easy to store away. The superbly designed grill lid opens out a full 180-degrees so you can use both surfaces to grill 4-6 portions in one go. 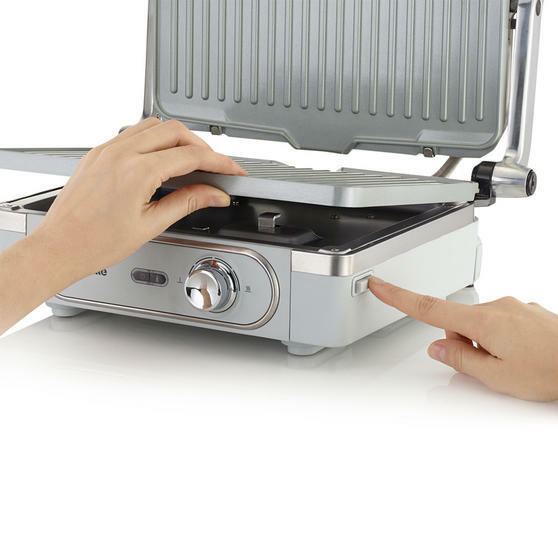 This grill could not be simpler to use, just wait for the ready to cook indicator and use the control dial to adjust the temperature.